Dentist Recommends Porcelain Veneers For Straightening! Some people just can’t imagine having metal braces as an adult. You have to uphold a professional image at work, feel confident around your peers, and change your whole dental routine? That’s just not reasonable. If you’re one of those people that will do anything to straighten their teeth but rely on traditional brackets and wires, you can rest assured that there’s an option for you: porcelain veneers. Porcelain Veneers: Improve Functionality and Cosmetics All at Once! Can you imagine simply covering a flawed smile with a straighter one? Wouldn’t that be so much easier than constantly visiting your orthodontist for uncomfortable tightening appointments? If a quick fix is what you’re looking for, we have the perfect solution for you. 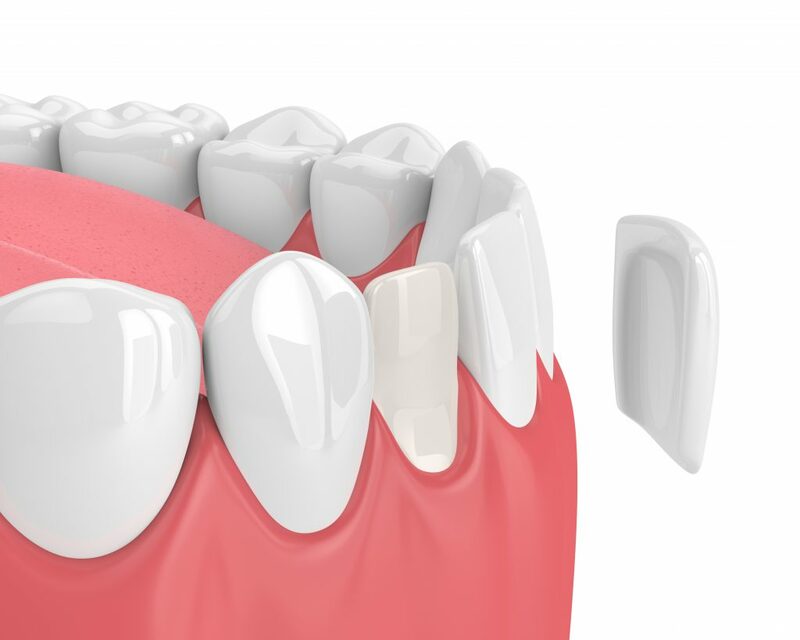 Porcelain veneers are thin coverings of dental porcelain that fit over the front of your teeth, providing a long-lasting fix to your most unwanted flaws. After examining your teeth, your cosmetic dentist will consider your every aspect of your facial features to formulate the appropriate size and shape of your veneers. This allows us to make sure that your veneers will be personalized and provide the perfect smile just for you. It’s Time That You Benefit From Porcelain Veneers! Yes, there are several types of cosmetic dentistry available to correct a flawed smile. But what helps porcelain veneers stand out from the rest? They have a natural-looking surface that camouflages your dental work amongst natural teeth. Less tooth enamel must be removed than with other cosmetic procedures. Every veneer procedure is customized to each patient’s needs. Just like your natural teeth, the teeth that have been restored with veneers just need simple, gentle care every day. Brushing and flossing goes a long way. You can still get cavities beneath and around porcelain veneers so this is still very important to maintaining good oral health. Taking care of your teeth at home is much easier to do with veneers rather than braces. After all, porcelain veneers act as your natural beautiful teeth! As with any excellent dental care practices, you should continue to visit your dentist after getting your porcelain veneers. Your dentist checks to make sure your veneers are staying stable and getting thoroughly cleaned. Anderson Family Dental is passionate about providing patients with world-class dental care techniques using high-quality dental equipment and resources. Each of our dentists have committed to offering up to date care, continuing their education throughout their years of practice. If you would like to speak with one of our dentists about porcelain veneers, feel free to call our office! Comments Off on Dentist Recommends Porcelain Veneers For Straightening!